June | 2010 | Where are the clowns? 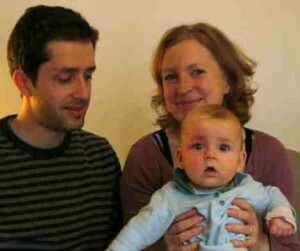 Seven-month-old Lucas Stachursky died after being given up to twelve times the correct amount of an anti-epileptic drug. Homerton Hospital management seem to be trying to pass responsibility for their massive overdose blaming ‘gaps in the system’ and warning it could happen in other hospitals. But that can’t excuse the fact that the senior registrar involved in the death of Lucas failed two prescribing tests he was forced to later do. And where is this registrar now? Lucas tragically died in May 2009. The inquest at Poplar’s Coroner’s Court into his death was only a few days ago. I wonder if Lucas’ parents Anna Holzscheiter and Benjamin Stachursky had to fight to get their case heard; why should grieving parents have to wait a year for the law to do their job? Reading this story in the Metro on my way to work this morning, it was difficult not to react judgementally. It’s impossible to put myself in her shoes when I would go through anything to have a baby. Putting up with even extreme morning sickness for the entire pregnancy would be worth it for me, without a doubt. The woman in the article does seem to have, maybe not regrets but, some sadness about her decision. What are your thoughts? A mother has told how she suffered such extreme morning sickness that she chose to have an abortion. Cheryl Harrison made the heartbreaking decision after her condition left her unable to walk or care for her young daughter. When my son’s not here with me. And his room, a lonely place. And kiss his dear, sweet face. Please God–don’t let them fade. His laughter I still hear. Though I can’t hold him near. I copied down this quote quite a while ago because her words echoed my thoughts almost perfectly. And it made me wonder why we don’t hear more women saying this. I was brought up believing that I could do anything I put my mind to, and my generation was probably the first who believed that as women we could do everything we wanted. We can have fabulous careers, we can be independent, we can have children and we can do all of these things together. The world is ours. But as I got older I started to question this. I recently started asking some of my female friends to see if it was just me, but it’s not. We’ve realised we can’t have it all. Roberto pointed out a few weeks ago how many people we know of who’ve had difficulty in getting pregnant, in order to say that having a baby isn’t always that easy for couples in general. But I had to draw his attention to the fact that all of these women are in their late thirties or older. The longer we wait, the harder it is and that’s just nature unfortunately. It’s easy to say to a woman not to wait too long if she wants children, but it’s also too easy for us to believe that we can keep age at bay (we’re surrounded by advertising that reinforces this) and fit everything we want to achieve into our lives when we want to. But life doesn’t always give us what we want or what we believe we’re entitled to.